Fits every 30" wide fridge with top or bottom freezers. 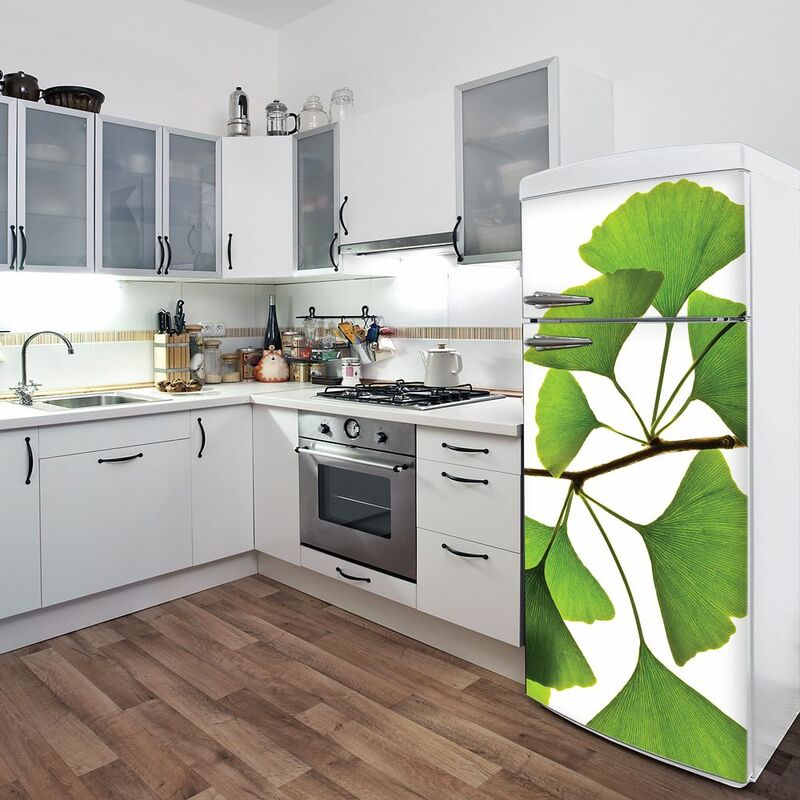 Ginkgo Biloba (Fridge) High resolution pictures to spice up the look of your fridge! It suits any 30" wide fridge. Perfect to liven up the kitchen. This single strip of adhesive vinyl will not damage the surface it is applied on. You can still use your favourite magnet on it! Ginkgo Biloba (Fridge) is rated 5.0 out of 5 by 1. Rated 5 out of 5 by SusieQ from Gorgeous colour and texture This completely changed the look and feel of my basement fridge that had rust spots we couldn't fix on the front. It now looks amazing!!! I love this! I have a ginkgo biloba tree in my front lawn, so the design was very appropriate! ;) Great price too!